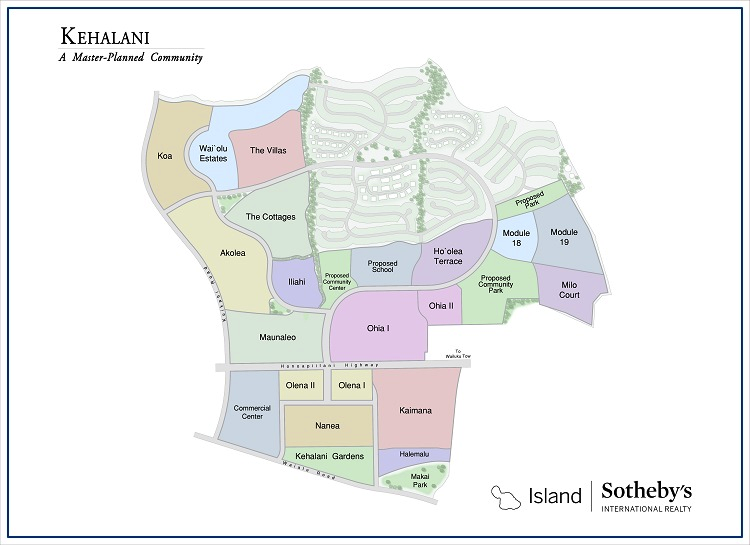 Kehalani continues to be one of the strongest value propositions on Maui, with a master-planned vision aimed to incorporate the best that the Wailuku landscape and the family-friendly environment of nearby schools, parks, amenities, etc. that Maui has to offer. To view a high-resolution map, please click on our Kehalani Map and view the map below for quick reference. Our Island Sotheby's Int. Realty team includes experts in the Wailuku real estate market who are able to assist Sellers and Buyers interested in exploring the Kehalani micro-market. Contact us today for a private consultation.